The lightweight, milky serum is dispensed via a pipette style dropper, which is neat, but I don't love that you're opening the bottle every time. I would have preferred a pump to keep oxygen out (and the good stuff in.) Packaging aside, the serum is really nice to use as it absorbs easily and cleanly with no trace other than hydrated skin. The formula features 10% Rhamnose, a natural sugar proven to act on skin rejuvenation and fight the signs of aging (as it always has) but now also includes now with Fragmented Hyaluronic Acid for added hydration and moisture retention. I tend to be dry, so I love that this is hydrating on top of the other benefits.Have I seen ten improvements in my skin? Not quite, but in the month or so I've been using this my skin has looked better- it does seem less prone to dullness, a bit brighter overall, and eels great. I do notice the plump and full effect when this is applied and it does leave skin feeling a bit firmer without any stickiness or residue. Overall, I'm a fan! 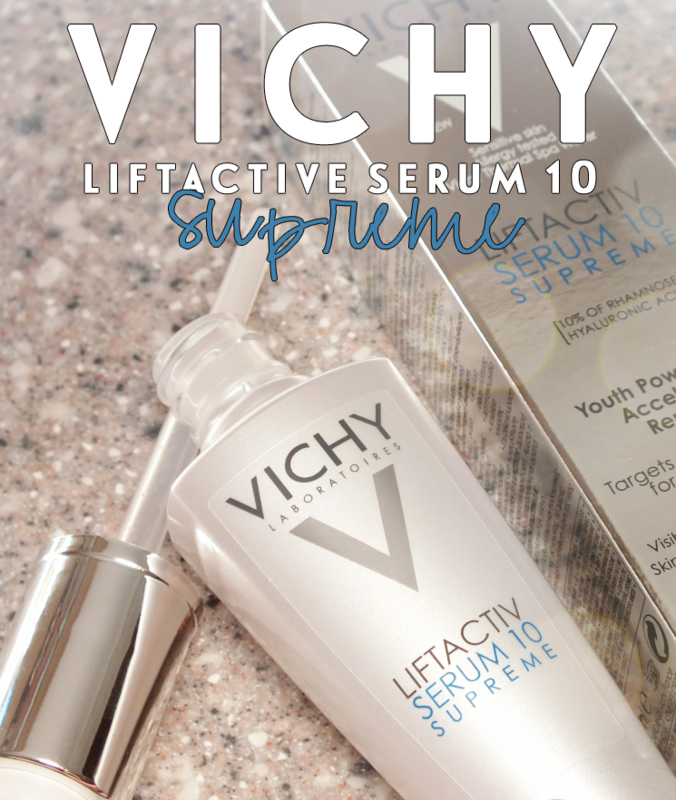 I've really enjoyed using this serum. 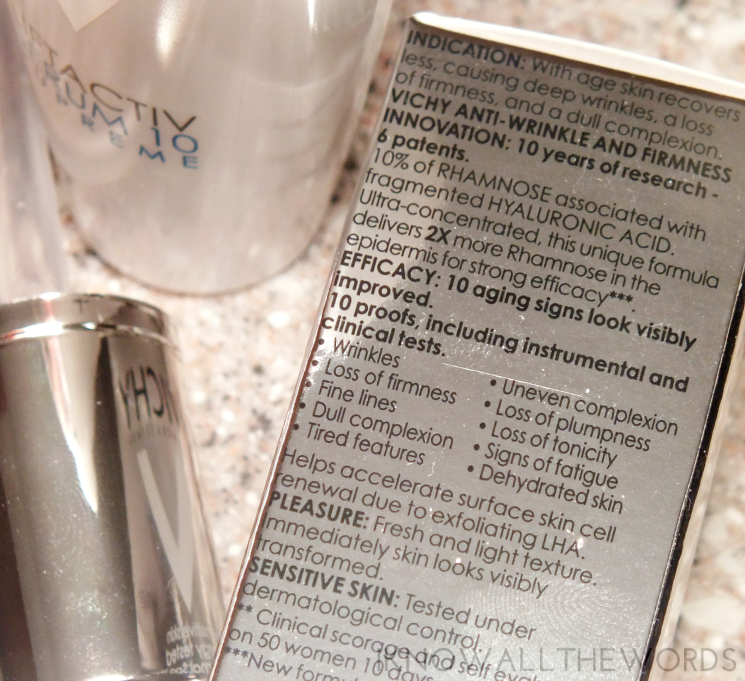 It's an all around serum that will suit pretty much everyone- even sensitive skin. It's especially great during the day prior to makeup, as the extra hydration works to keep my skin fresh and keeps stubborn dry spots at bay/ Are you a serum fan? 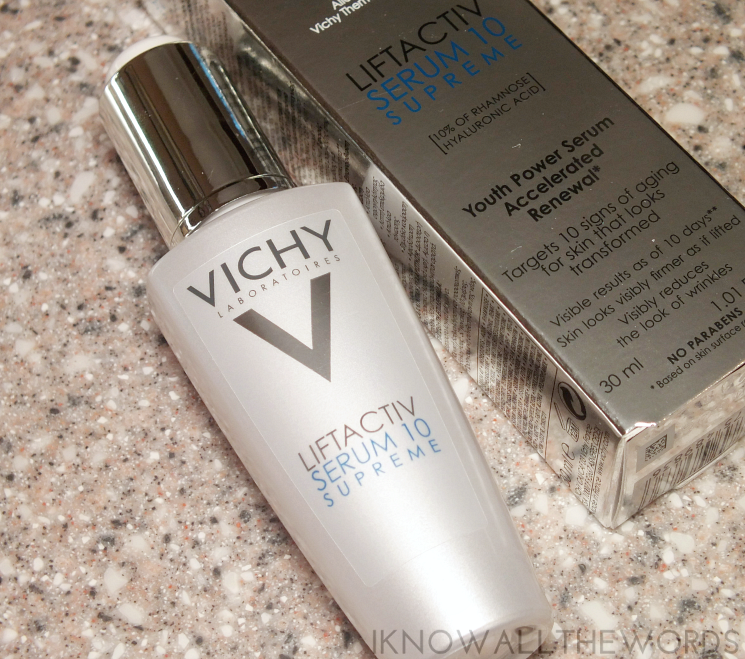 Tired this or any other Vichy formulas?